Here are some important facts about drug and alcohol abuse. Drug and alcohol abuse can lead to serious consequences, but a large portion of the population engages in substance abuse each year. In 2013, an estimated 24.6 million Americans over the age of 12–almost 10 percent of the population–abused an illicit drug in the past month. Additionally, seven percent of the population over the age of 18 reported binge drinking in the past month. These alcoholism facts and facts about drug and alcohol abuse reveal how prevalent substance abuse is. Here are some other important facts that can help you decide whether you need help for a substance use disorder. 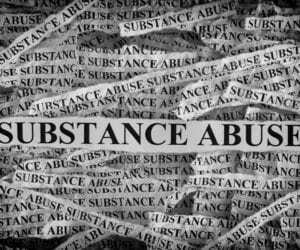 Learn more about substance abuse by clicking here. 1. Substance abuse is not the same thing as addiction and dependence. Substance abuse is the act of using drugs or alcohol in a way that causes problems in your life. It may cause relationship, financial, legal, or health problems, or it may put you in high-risk, dangerous situations. Binge drinking is the most common form of substance abuse, and any use of opioids not prescribed by a doctor is considered abuse because of the high potential for overdose–115 people lose their lives every day to opioid overdose, according to opioid addiction statistics. Substance abuse can lead to addiction, which is characterized by compulsive substance abuse despite the negative consequences. Addiction is the result of structural and chemical brain changes that may occur with heavy substance abuse. One of the most important facts about drug and alcohol abuse is that once you develop an addiction, you’ll find that you can’t seem to quit, no matter how much you want or try to stop using. Dependence often occurs with addiction. Dependence is characterized by withdrawal symptoms that set in when you stop using drugs or alcohol cold-turkey. Dependence, like addiction, develops as the result of brain changes caused by heavy substance abuse. As your brain tries to compensate for the presence of drugs or alcohol, tolerance develops, which means that you need increasingly larger doses to get the same results. This is an important sign that dependence may be developing. 2. Dependence requires detox, and this is the first step of addiction treatment. Medical detox is the first step of addiction treatment in a treatment program. Detox is the process of allowing all traces of a substance to leave the body so that brain function can begin to return to normal. Medical detox is essential for withdrawing from drugs–and especially alcohol–because in some cases, withdrawal has the potential to turn dangerous or even deadly, according to drug and alcoholism facts. Additionally, withdrawal can be excruciating, sending you back to using very quickly just to end the discomfort. During medical detox, medical and mental health professionals administer medications as needed to reduce the severity of withdrawal symptoms and shorten the time it takes to detox. This improves your comfort and safety during detox. 3. Once an addiction develops, treatment is almost always needed. The National Institute on Drug Abuse’s facts about drug and alcohol abuse, good intentions and willpower are rarely enough to help someone end an addiction for the long-term. That’s because addiction is very complex, involving genetic, biological, environmental, cultural, and personality factors. Addiction almost always has underlying causes, such as chronic stress or a history of trauma, that must be addressed for a successful recovery. It also changes the way you think and behave, and re-learning healthy thought and behavior patterns is essential for ending the drug abuse for good. Finally, the addiction itself takes a toll on your life, including your physical and mental health, relationships, and finances, and restoring these areas to reduce stress and anxiety is central to successful abstinence. 4. There is no single treatment that’s right for every individual. Treatment addresses the wide range of issues behind an addiction. The Substance Abuse and Mental Health Services Administration stresses that there is no single addiction treatment therapy that works for every individual. Everyone has unique needs, issues, and challenges, and addressing them effectively requires a variety of both traditional therapies, such as cognitive-behavioral therapy, and complementary therapies, such as art therapy or mindfulness meditation. This holistic approach to treatment offers the best outcomes, and an individualized treatment plan is essential for effective treatment. Relapse rates for addiction are similar to relapse rates of other chronic diseases like diabetes and heart disease–around 40 to 60 percent of people will relapse after a period of recovery, and it may be more for those recovering from opioid addiction, according to opioid addiction statistics. For some, these facts about drug and alcohol abuse are discouraging, but treatment helps. It reduces the risk of relapse by removing the need and desire to abuse drugs or alcohol by addressing a range of issues and helping you develop a variety of skills. Treatment works for most people who engage fully with their treatment plan and stay in treatment for an adequate period of time. Treatment transforms lives, and it can help you find purpose, meaning, and authentic happiness in your life. ← Is My Loved One a Functioning Addict?